New Directions Publishing Corporation, 9780811213622, 98pp. Upon discovering Chekhov when he was twenty-four, Tennessee Williams felt an immediate affinity with both the art and life of the Russian playwright. Both gravitated to exploring, with lyric intensity, the tortured lives and ambitions of closely bound groups of characters; both mixed comedy and tragedy in portraits of daily life. Early on, Williams thought of directing a production of The Sea Gull, and, often returning to the play, his empathy gradually shifted from Constantine, the youthful experimenter, to Trigorin, the world-weary writer. Williams, too, in pursuing success had made compromises. Near the end of his life, Williams' chance to interpret The Sea Gull was realized at the University of British Columbia in Vancouver, where a production which brought Chekhov's buried conflicts to the surface was produced in 1980. 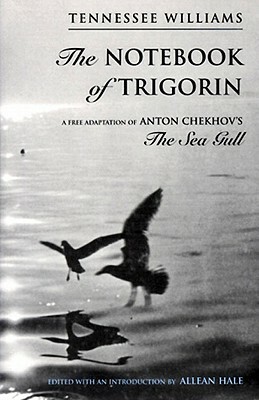 Williams was still making revisions to the play when he died, and it was not until 1996, in celebration of the 100th anniversary of The Sea Gull's first performance, that The Cincinnati Playhouse staged The Notebook of Trigorin, on which this edition is based.